Paraconsistent mathematics is a type of mathematics in which contradictions may be true. In such a system it is perfectly possible for a statement A and its negation not A to both be true. How can this be, and be coherent? What does it all mean? And why should we think mathematics might actually be paraconsistent? We'll look at the last question first starting with a quick trip into mathematical history. David Hilbert, 1862 - 1943. In the early 20th century, the mathematician David Hilbert proposed a project called Hilbert's programme: to ground all of mathematics on the basis of a small, elegant collection of self-evident truths, or axioms. Using the rules of logical inference, one should be able to prove all true statements in mathematics directly from these axioms. The resulting theory should be sound (only prove those statements that really are true), consistent (free from contradictions) and complete (it should be able to either prove or disprove any statement). One should also be able to recognise that the axioms are sound by finitary means — that is, minds limited to finitely many inferences, such as human minds, should be able to recognise the axioms as sound. In any formal system that is free of contradictions and captures arithmetic, there are statements which cannot be proven true or false from within that system. G: G cannot be proved in the theory T.
Classically-minded scholars accept that mathematics must be incomplete, rather than inconsistent. In line with common intuitions they find contradictions, and inconsistency, abhorrent. However, it is important to note that accepting a small selection of contradictions need not commit you to a system full to the brim with contradictions. We shall explore this idea further shortly. For now, let's turn to a couple of cases where an paraconsistent position can provide a more elegant solution than the classical position: the paradoxes of Russell and the liar. Let R (the Russell set) be the set of all sets that are not members of themselves. Is R a member of R? To be a member of itself, R is required not to be member of itself. Thus if R is in R, then R is not in R, and vice versa. It looks like a fairly serious problem. So-called naive set theory is not equipped to deal with such a paradox. Classical mathematics is forced to endorse a much more complicated version of set theory to avoid it. We will look at the classical response, and then a paraconsistent approach. But first, what is naive set theory? The principle of abstraction, which states (roughly) that given any property, there is a set collecting together all things which satisfy that property. For example, "being black" is a property, so there is a set consisting of all black things. The principle of extensionality, which states that two sets are the same if and only if their members are the same. These principles capture an intuitive understanding of what sets are and how they work. However, to avoid contradictions and paradoxes, classical mathematicians regularly adopt a more complicated stance, accepting a more complex version of set theory called Zermelo-Fraenkel set theory (ZF). It discards the principle of abstraction, and replaces it with around eight more involved axioms. These postulated axioms change the way one is able to create a set. Given a set the power set is the set of all subsets of . where is the empty set. The Von Neumann hierarchy is richer than this, incorporating notions of infinity, but the construction works in a similar spirit. In general, to create a set in ZF one uses pre-existing sets to make more (see the box on the right for an idea of how the process works). Certain sets, such as the empty set, exist without needing to be constructed. The collection of sets that can be formed by building in such a way is referred to as the cumulative hierarchy or the Von Neumann universe. The sets built in ZF are given a rank based on how many times one has used the set building rules to create them. The empty set is rank 0, those built from the empty set directly are rank 1, and so forth. In ZF, Russell's set cannot exist, and thus Russell's paradox is avoided. Sets are built from the bottom up; you first need to have hold of a set before you can include it into another set. To create the Russell set, the Russell set is required, so building it using the axioms of ZF is impossible. Couching this in terms of the rank of the set, Russell's set would need to be of some rank, n, but also n+1 (and n+2 and n+3 and so forth), because to be created it needs to be of a higher rank than itself. As this is not possible, the Russell set cannot be built. ZF avoids Russell's paradox, but at a cost. Instead of a set theory based on two simple premises, we are left with a much more complicated system. Complicated does not imply incorrect, however in this case it is difficult to motivate the array of different axioms which are needed for ZF. One can accuse the axioms of being ad hoc: used to avoid a particular problem rather than for a coherent, systemic reason. Moreover, ZF is an unwieldy system. Using a similarly complicated system, Russell and Whitehead needed 379 pages of work to prove that 1+1=2 in their Principia Mathematica, published in 1910 (here's the relevant page). Because of this, most mathematicians use something akin to naive set theory in their informal arguments, though they probably wouldn't admit it. There is a certain reliance on the idea that whatever their informal argument is, it is in principle reducible to something in a system such as ZF, and the details are omitted. This assumption may be problematic, especially where some very complicated results are supposedly proved. Classical mathematics does not appear to have the stable, workable, contradiction-free foundations that classical mathematicians hoped for. To be true, the statement has to be false, and vice versa. Many brilliant minds have been afflicted with many agonising headaches over this problem, and there isn't a single solution that is accepted by all. But perhaps the best-known solution (at least, among philosophers) is Tarski's hierarchy, a consequence of Tarski's undefinability theorem. 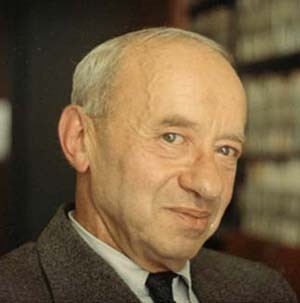 In a nutshell, Tarski's hierarchy assigns semantic concepts (such as truth and falsity) a level. To discuss whether a statement is true, one has to switch into a higher level of language. Instead of merely making a statement, one is making a statement about a statement. A language may only meaningfully talk about semantic concepts from a level lower than it. Thus a sentence such as the liar's sentence simply isn't meaningful. By talking about itself, the sentence attempts unsuccessfully to make a claim about the truth of a sentence of its own level. The parallels between this solution to the liar paradox and the ZF solution to Russell's paradox are clear. However, looking at this second case shows that paradox or inconsistency is not merely a quirk of naive set theory, but a more widespread phenomenon. It seems that to avoid inconsistency, classicists are forced to adopt some arguably ad hoc rules not just about the nature of sets, but also about meaning. Besides, it intuitively seems that the liar sentence should be meaningful; it can be written down, is grammatically correct, and the concepts within it understood. How does a paraconsistent perspective address these paradoxes? The paraconsistent response to the classical paradoxes and contradictions is to say that these are interesting facts to study, instead of problems to solve. This admittedly runs counter to certain intuitions on the subject, but from a paraconsistent perspective, localised contradiction such as the truth and falsity of the liar sentence, does not necessarily lead to incoherence. How is this different from the classical view? For classicists, what is so bad about contradiction? Every mathematical proof is, in some way, a deduction from a specified collection of definitions and/or axioms, using assumed rules of inference to move from one step to the next. In doing this, mathematics is employing some type of logic or another. Classical mathematics uses classical logic, and classical logic is explosive. 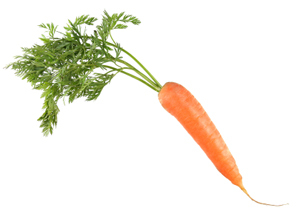 Because of Russell's paradox this page is a carrot. An explosive logic maintains that from a contradiction, you may conclude quite literally anything and everything. The logical principle is ex falso quodlibet, or "from a falsehood, conclude anything you like". If A and not-A are both true, then Cleopatra is the current Secretary-General of the United Nations General Assembly, and the page you are currently reading is, despite appearances, also a carrot. So why is classical logic explosive? Because it accepts the argument form reductio ad absurdum (RAA), meaning reduction to the absurd. We will see below that paraconsistent logicians can use a modified version of RAA, but for now let's just consider the classical version. To use classical RAA, one first makes an assumption. If further into the proof a contradiction arises, one is entitled to conclude that the initial assumption is false. Essentially, the idea is that if assuming something is true leads to an "absurd" state of affairs, a contradiction, then it was incorrect to make that assumption. This seems to work well enough in everyday situations. However, if contradictions can exist, say if Russell's set both is and is not a member of itself, then we can deduce anything. We merely have to assume its negation, and then prove ourselves "wrong". Thus contradiction trivialises any classical theory in which an inconsistency arises. Naive set theory, for example, is classically disinteresting, because it not only proves that 1+1=2, but also that 1+1=7. All because of Russell's paradox. So to the classical mathematician, finding a contradiction is not just unacceptable, it is utterly destructive. There is no classical distinction between inconsistency (the occurrence of a contradiction) and incoherence (a system which proves anything you like). Paraconsistent logic does not endorse the principle of explosion ex contradictione quodlibet, nor anything which validates it (notice the subtly different wording; "contradictione" in place of "falso"; this will become important later). The thought is this: suppose I have a pretty good theory that makes sense of a lot of the things I see around me, and suppose that somewhere in the theory a contradiction is hiding. Paraconsistent logicians hold that this does not (necessarily) make the theory incoherent, it just means one has to be very careful in the deductions one makes to avoid falling from contradiction into incoherence. For the most part, it makes no difference to us if the liar sentence really is both true and false, and the paraconsistent perspective reflects that. By removing RAA (or altering it as we see below), and making a few other tweaks to classical logic, we can create a logic and mathematical system where contradictions are both possible and sensible. A donkey in your bedroom? There are further motivations for paraconsistency beyond those mentioned above. One such motivation is historical: at various times mathematicians worked with theories that they knew at the time to be inconsistent, but were still able to draw meaningful and useful conclusions. Set theory is one such area. The early calculus, as proposed by Isaac Newton, was another; its original formulation required that a quantity be small but non-zero at one stage of a calculation, but then to be equal to zero at a later stage. Despite the inconsistencies, mathematicians still adopted these theories and worked with them, drawing useful and sensible conclusions despite the presence of contradictions. Another motivation is the question of relevance of inference. That is, suppose I have proved that the Russell set is and is not a member of itself. Why should it follow from this that there is a donkey braying loudly in my bedroom? 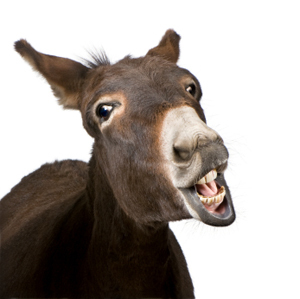 The question of relevance (just what has a donkey to do with set theory?) is one that has plagued classical logic for a long time, and is one that makes classical logic a hard pill to swallow to first-time students of logic, who are often told that "this is the way it is" in logic. Fortunately for those students, paraconsistency provides an alternative. Paraconsistent mathematics is mathematics where some contradictions are allowed. The term "paraconsistent" was coined to mean "beyond the consistent". The objects of study are essentially the same as classical mathematics, but the allowable universe of study is enlarged by allowing some inconsistent objects. One of the main projects of paraconsistent mathematics is to determine which objects are inconsistent, and which inconsistencies are allowed in a theory without falling into incoherence. It is a fairly recent development; the first person to suggest paraconsistency as a possible foundation of mathematics was Newton da Costa from Brazil (1958). Since then various areas have been investigated through the paraconsistent lens. An important first step towards developing paraconsistent mathematics is establishing a tool kit of acceptable argument forms. One charge that has been levelled against the paraconsistent mathematician is that the classical version of RAA is not allowed. Proofs by contradiction, reductio ad contradictione, are no longer allowed, since the conclusion could be a true contradiction, and the logic must allow for this case. Similarly, disjunctive syllogism is lost. Disjunctive syllogism states that if I can prove that A or B is true, and I can prove that A is false, then B must be true. However, paraconsistently, if A and not-A is a true contradiction, then B cannot be validly deduced. We do not receive any information about the truth of B from the fact A is not true, because it might also be true, thus satisfying the disjunction. Paraconsistentists are able to salvage a form of RAA. The classical mathematician does not distinguish between a contradiction and total absurdity; both are used to reject assumptions. However, from the paraconsistent viewpoint, not all contradictions are necessarily absurd. To someone with this view, classical RAA actually equates to reductio ad contradictione. The paraconsistentist can use a form which allows them to reject something which is genuinely, paraconsistently absurd. This take on RAA is used to reject anything which leads to a trivial theory (a theory in which everything is true). Likewise, while ex contradictione quodlibet (from a contradiction, anything follows) is out, ex absurdum quodlibet is still valid. Allowing inconsistencies without incoherence opens up many areas of mathematics previously closed to mathematicians, as well as being a stepping stone to making sense of some easily described but difficult to understand phenomena. One such area is inconsistent geometry. M. C. Escher's famous drawings, for example, often contain impossible shapes or inconsistent ideas. His famous Waterfall depicts a waterfall whose base feeds its top. 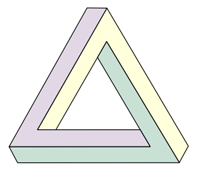 The Penrose triangle is another well-known example, the sides of which appear simultaneously to be perpendicular to each other and to form an equilateral triangle. The Blivet is another, appearing comprised of two rectangular box arms from one perspective, but three cylindrical arms from another. These pictures are inconsistent, but at the same time coherent; certainly coherent enough to be put down on paper. Paraconsistent mathematics may allow us to better understand these entities. Paraconsistency can also offer new insight into certain big-and-important mathematical topics, such as Gödel's incompleteness theorem. When Gödel tells us that mathematics must either be incomplete or inconsistent, paraconsistency makes the second option a genuine possibility. Classically, we assume the consistency of arithmetic and conclude that it must be incomplete. Under the paraconsistent viewpoint it is entirely possible to find an inconsistent, coherent and complete arithmetic. This could revive Hilbert's program, the project of grounding mathematics in a finite set of axioms: if the requirement for consistency is lifted, it may be possible to find such a set. The blivet, also known as the space fork. Another famous problem that appears in a new light under paraconsistency is the halting problem in computer science. It is the problem of finding an algorithm that will decide if any given algorithm working on any given input will ever halt. It is an important concern when addressing whether an algorithm will reach a solution to a problem in finite time, and is equivalent to many other decision problems in the discipline. However, consistent computer programs are unable to solve the problem, as famously proved by Alan Turing (see What computers can't do for a sketch of the proof). Paraconsistency re-opens the door to finding a solution. Paraconsistency in mathematics: mathematics where contradictions may be true. Is it as outlandish as it sounds? Probably not. As we have seen, paraconsistent mathematics elegantly deals with paradoxes to which classically mathematicians have had to find ad-hoc, complicated solutions to block inconsistency. There are also many areas in which paraconsistent mathematics may provide meaningful insights into inconsistent structures. It offers new insights to old problems such as Hilbert's program and the halting problem. Paraconsistency in mathematics: an interesting and promising position worthy of further exploration. Inconsistent Mathematics by Chris Mortensen. In Contradiction by Graham Priest. The Stanford Encyclopedia article on paraconsistent logic. The Internet Encyclopedia of Philosophy article on inconsistent mathematics. 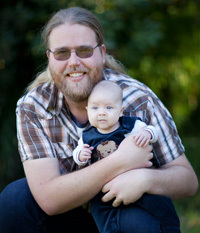 Maarten McKubre-Jordens is a postdoctoral fellow at the University of Canterbury. As well as actually performing mathematics, he thinks about the foundation of mathematics in human reasoning. He brews his own beer, and loves to spend time with his family. He wishes to thank his wife Alexandra, for her virtually limitless patience in making this article user-friendly. How is "Godel, Esher, and Bach" not on your suggested reading list? Too long? It probably should be! Thank you for the suggestion. Depending on how loose you want to make the connection with the article, there is of course a whole host of other reading that should be on the list too. I've really just pointed to a small selection of immediate sources for paraconsistent mathematics. I didn't see a definition for ex absurdum quodlibet. I don't think I put in an explicit definition for "ex contradictione quodlibet" either. Very informative and enjoyable read, mathematics is markedly fascinating and in your article you have explained some very interesting concepts. Thank you very much for your comment! I'm glad you enjoyed the article. Maybe this is just because I failed a course in mathematical logic, but I wish there was more creative thinking like this in mathematics and less orthodoxy. I am from India where Set theory is normally considered to be too trivial to talk about in math. But this article does a great job in rendering that belief false. Is there any active research being done in foundations of mathematics as of now?? It is a tragedy that all too often mathematicians, when asked about foundations, may be of the opinion that this was all sorted out in the earlier part of the 20th century. This is certainly not the case. Active research in this area is happening in many places, by a small but dedicated (and spreading) following. An example of research on foundations in the classical arena is a group led by Hugh Woodin in the USA; his team is investigating possibilities for a "golden axiom of set theory", with hopes that there will be interesting outcomes concerning big problems like the continuum hypothesis. Constructive mathematics is the "typical" response by those who take issue with the classical conception of mathematical proof, and there are groups currently looking at intuitionistic type theory, set theory, and the mathematics that is built on them - there are active groups in Germany, Scandinavia, Japan, and New Zealand (to name a few). A Google/Wikipedia search for constructive mathematics will bring up many references. I am currently working with Douglas Bridges (and others) on various constructive ideas. Paraconsistent mathematics, being fairly new on the block, has not developed as large a following as yet but there is active research going on in South America, Australia and New Zealand - it seems to be a largely southern-hemisphere phenomenon so far. I'm currently working with Zach Weber from Melbourne on characterising the real line using paraconsistent reasoning. You typically don't have to look far! 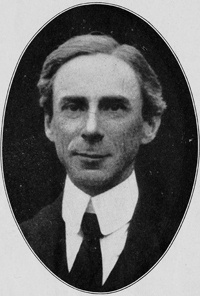 I am afraid the dates for Bertrand Russell's death, underneath his picture, are incorrect: he died in 1970, not 1979. Thanks for pointing that out - the caption has been corrected now. I think the liar's paradox is not a complete statement and it will make sense of the sentence only when stated along with a preceding sentence/statement, which will completely state or explain what is the word 'This' is referring to. Once the sentence or statement to which the word -'This' is referring to is well established, only then can the Liar's statement be understood and the statement would be true or false based on what the sentence to which the word- 'This' is referring to, is stating. I don't think the Liar's paradox is complete, a good English grammatician can be consulted for understanding the sentence. Simply considering the sentence, 'This statement is false' as a complete statement, and assuming that the word-'This' is pointing to the same sentence/statement, is an illogical understanding & interpretation of English & English Grammer. In fact, if one thoroughly applies this argument, assuming that any sentence written in a predefined language assumes prior knowledge of the higher level meaning of the symbols used, wouldn't any similar paradoxal statement fall into this category? I do understand the point you make, however, in a way that suggests that the paradoxal character of this sentence in particular is context-dependent. Nonetheless, going much further in this direction would be too out of scope here, as already mentioned below. Hello and thank you for reading my article - I hope you enjoyed it! Is the problem perhaps that the sentence has no meaning? Consider then the sentence: "This sentence has no meaning." In any of the above cases, you end up with similar Trouble. There are many variations on the liar paradox. I am by no means an English grammatician, but there seems to be something compelling about these sorts of propositions. Especially where reasoning (and hence mathematics) is concerned, since there we need to provide a convincing account of how it is that we reason sensibly. I would rather remove the assumption that the property of 'being a member of itself' must apply to the whole set if it applies to each member of the set. The set of all sets with only one member has more than one member. is true. The liar paradox can be split into 'the following statement is false' and 'the previous statement is false', and when one of those two statements is false then the other statement is true, without any contradiction. 'the following statement is false' and 'the previous statement is true' may be split into '1)statements 3 and 4 are both true' '2) statement 4 is false', '3)statement 1 is true' and '4) statements 1 and 2 are both true', which can be non-contradictory when 1,3,4 are false and 2 is true. If what I am typing is contradictory then I have made a mistake. But if mathematics is paraconsistent, then you might not have! As is of experience we usually construct and use sentences and all sentences we use to communicate is always tied down to a context. Well if that is well established, now, we can easily see that the sentence is not complete or the context is not defined well so as to consider that it means something is false? what is false? has to be defined well, usually true and false are opposite meaning words......I mean "MEANING" when [true & false] are used the meaning is apparent or well established, before, in a discussion context when the word "true" and "false" are mentioned. Think about this sentence - "There is GOD." Immediately you get the meaning of the sentence as the word "There" refers to the very world in which we are alive and kicking with life, here in this sentence there is no requirement to specify "where?" as it is well understood that it means or refers to the world. Now come back to the liar's paradox sentence - "This sentence is false." We do understand from this sentence that the word "this" is pointing to the very sentence we are reading. However it is not well established or no context is defined for the sentence to know what is false? if this sentence is properly used in a discussion or context then the word "this" will get a fuller qualifying meaning and then we can infer the object or abstract or opinion or meaning that is false. Dr Arun Kotenkar writes in his book - Humanity is like a banyan tree with deep roots and individual egos representing the end points or the leaves of the humanity tree. Radheevar reads this sentence and says - This sentence is false. Now see how the meaning is conveyed to you the reader after radheevar uses the liar's paradox. My apologies for not responding to this sooner. Since the comments on the page seem not to occur too frequently, I have not been keeping tabs on them. "yields a falsehood when preceded by its quotation" yields a falsehood when preceded by its quotation. We may take here falsehood as being (as you say) the opposite of a truth - informally or otherwise. Then we have context, we understand what "points at" what, and yet there is paradox. Let us analyse the Quine's paradox. - "something in quotes" yields a falsehood when preceded by its quotation. - well please review and see what in English grammar quotation text is used for? - Just because the text in quote, that is "yields a falsehood when preceded by its quotation" is similar in textual-content text of the statement [yields a falsehood when preceded by its quotation.] does not mean they are similar or equal in any sense. Or to be specific the 'it' is not equal to the quoted '"it"'. Truth :: "yields a falsehood when preceded by its quotation" != yields a falsehood when preceded by its quotation. For Clarity :: "Some text in quotes" != yields a falsehood when preceded by its quotation. "yields a falsehood when preceded by its quotation." yields a falsehood when preceded by its quotation. Now you are seeing a dot in a quoted text which is absurd. two dots or full stops in a single sentence....foolish. Please do not argue that the full stop or dot at the end of an English sentence is not part of the sentence, it, the dot or the full stop is very much part of the sentence. And further my high school English teacher had taught me that what is in a quotation in an English sentence, is assumed to be spoken by some one. Now tell me who is speaking out the part of the Quine's paradox statement that is in quotations? The reader of the quine's paradox is just reading and some character needs to speak? the reader is not speaking here, he/she is just reading the paradox statement. From reading the paradox statement, the reader does not get to know who is speaking? I again try to explain that the understanding and meaning of any sentence is very much tied to the context that has to be established well before using the sentence. Because there is always contextual tie-ins for a sentence to other sentences which establish context, to make sense and a meaning/s to be derived from it/them. Language is a gift of God, When the Great Lord Shiva, danced with his 'damarug', it was then that the words or alphabets of language emerged and language was born. "Om namah shivaya". NOTES: '!=' is same in meaning as 'not equal to' in Computer programming languages. This notation has been used in the above equations. If everything is Mathematics? what is probabilistic? Thank you for our article on paraconsistent mathematics and for the effort to make these ideas broadly available. I am not a mathematician, but a student of Zen Buddhism., which since ancient times has explored the nature of paradox and mental constructs regarding reality. In Buddhism, a distinction is drawn between relative truth and absolute truth. Relative truth is the world of everyday distinctions, in which statements about true and false are made. The nature of that world is one of observer and objects, an ego identity which arises in the act of discrimination between, for example, "true" and "false." That is also the world of conceptual thought. The absolute, however, embraces all three elements of relativity: the self, the object of attention ("true") and the subject source of comparison ("false"). From the standpoint of the absolute, the self arises in the act of discrimination, together with subject and object. In other words, the absolute is a world of paradox that can be experienced, but which defies conceptual thought. For example, "true" and "false," from the standpoint of conceptual thought, exist as distinct entities. Something is one or the other, and such distinctions are functionally necessary for ego identity and success in such matters as crossing the street. However, from an absolute perspective, the needs of ego identity are not paramount; and "true" and "false" turn out to be matters of personal or societal convention, with no other claim to existence than comparison one to the other. All of human consciousness is like this, founded on distinctions carved out of a universe in which all paradox, all of plus and minus, add up to zero. Regarding "This sentence is false," the phrase asserts being in the word "is," and non-being in the word "false." I suppose it is like saying, "I am dead." How can I be alive and dead at the same time? It makes no sense. And yet, from an absolute standpoint, that paradox is exactly the situation. I both "am" and I "am not." Both life and death are my nature. Both creation and destruction are happening in every moment. Indeed, it is only in accepting death that I live without fear. It is the ego self that fears dissolution that argues against such paradox.